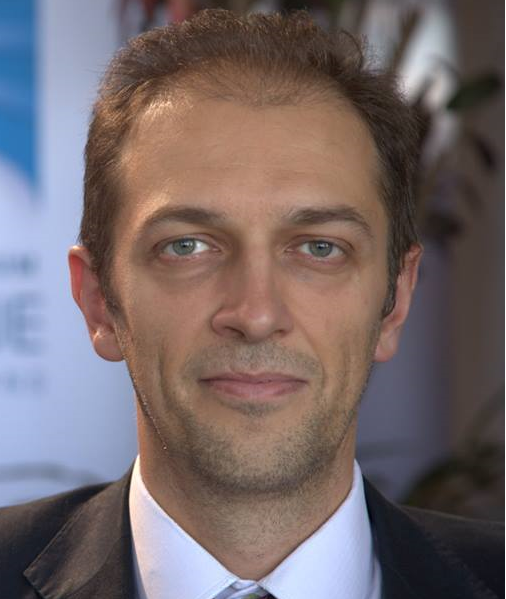 Raffaele Marchetti (Laurea, Rome-La Sapienza; PhD, London-LSE) is Deputy Rector for Internationalization and Associate Professor (national qualification as full professor) in International Relations at the Department of Political Science and the School of Government of LUISS. His research interest concerns global politics and governance, hybrid and city diplomacy, transnational civil society, (cyber-)security and political risk, and democracy. He acts as external expert for the European Commission and other public/private institutions on issues of global governance, public policies, civil society, and security. He is member of the editorial board of The International Spectator, the Academic Advisory Board of the NATO Defense College-NDC, the European Joint Doctorate GEM-STONES academic board, and the steering committee of the Centro studi sulla Cina contemporanea. He is the editor of the Routledge series World Politics and Dialogues of Civilizations. In 2015 he produced one of the first MOOCs on IR: From International Relations to Global Politics for Iversity. In the past, he was director of the FP6 Strep project SHUR. Human Rights in Conflicts: The Role of Civil Society and held a Jean Monnet European Module on EU’s Engagement with Civil Society, both funded by the European Commission. He was visiting/adjunct professor at American University of Rome-AUR, China Foreign Affairs University-CFAU-Beijing, Freie Universität Berlin, London School of Economics-LSE, MGIMO-Moscow, Sciences Po-Paris, Strathmore University-Nairobi, Université de Geneve, University of Naples L’Orientale, and Waseda-Tokyo. He was fellow at the European University Institute-EUI, Italian National Research Council-CNR, University of Exeter, the FP6 research project DEMOS. Democracy in Europe and the Mobilization of Society at the University of Urbino, the Network of Excellent GARNET. Global Governance, Regionalisation & Regulation: The Role of the EU, the SUSI on US National Security Policy-Making at the University of Delaware, and the Wissenschaftszentrum Berlin für Sozialforschung- WZB. He was research contractor for the DoC Research Institute, European Union Institute for Security Studies-EUISS, Istituto San Pio V, Istituto Affari Internazionali-IAI, and Finmeccanica. He was rapporteur for the European Commission on Civil Society in Global Governance, and received the Lawrence S. Finkelstein Award by the International Studies Association-ISA, Section on International Organization. Government-NGOs Relationship in Africa, Asia, Europe and MENA, Routledge, 2018. Debating Migration to Europe: Identity vs Welfare, Routledge, 2017. Cybersecurity. Hacker, spie, terroristi e le nuove minacce del web, Luiss UP, 2017, with R.Mulas. Partnership in International Policy Making: Civil Society and Public Institutions in Global and European Affairs, Palgrave, 2017, ed. Global Democracy: For and Against. Ethical Theory, Institutional Design, and Social Struggles, Routledge, 2008. His works have been published in Arabic, Chinese, English, Italian, Russian, and Spanish.